Squirrels in my garden last year made vegetable gardening a nightmare for me. 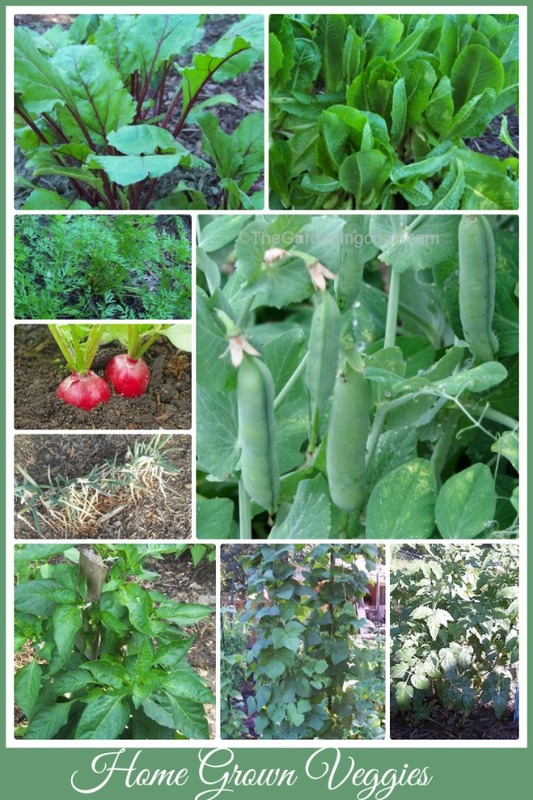 This year, I decided to try combining perennials and vegetables in one garden bed to see how it worked out. 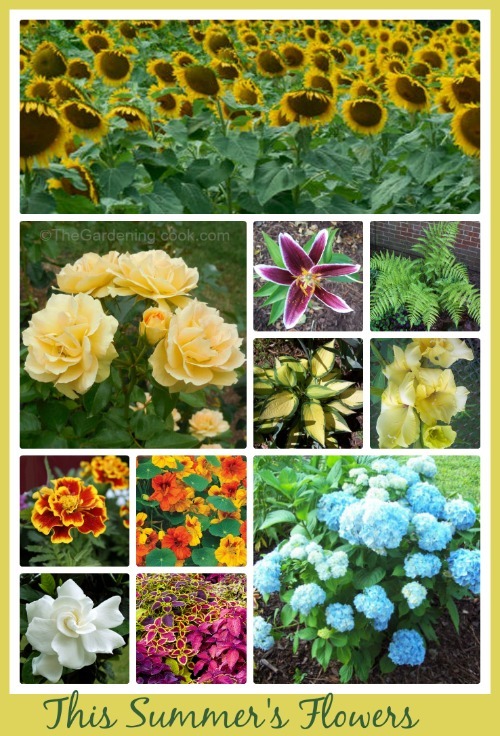 I have long been interested in growing perennials. 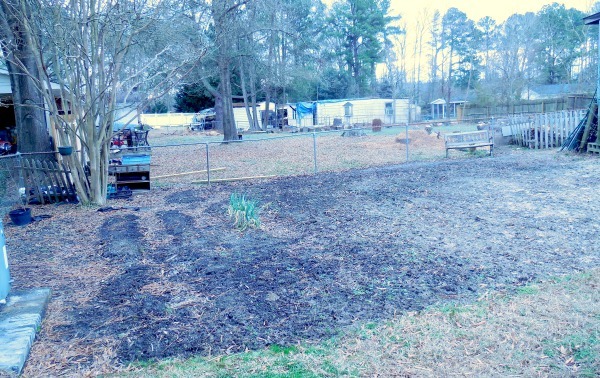 Adding some vegetables into the mix gave my garden beds an interesting new look. Readers of my blog may remember my huge problem with squirrels in my vegetable garden last summer. They decimated my tomato plants (all 13 of them), ruined the corn and basically gave me a nightmare all summer long. One solution to the problem was to grow a vegetable garden on my deck. The other was to combine both flowers and veggies in one garden space. I have to admit that it ruined my motivation about doing anything with vegetables. It is no fun to spend months tending a garden, only to have all the vegetables eaten by a squirrel. Read on to find my solution to the problem for this year’s garden. Two years ago my garden looked like this. It was about 600 square feet and I had a great crop that year. No critter problems. 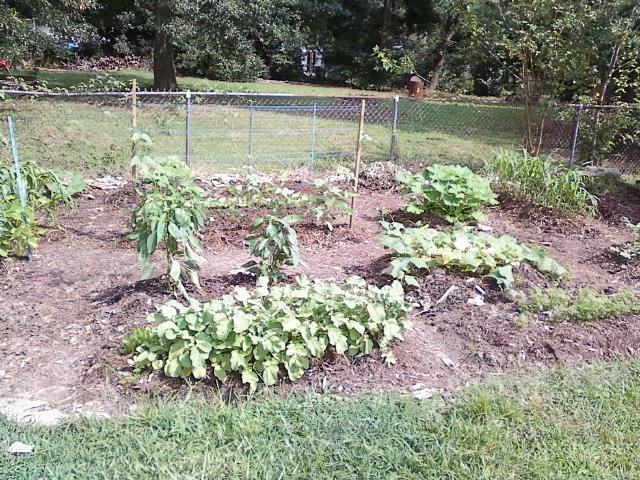 I doubled the size last year and planted much more corn and many more tomato plants. Unfortunately, the corn attracted the squirrels like crazy, and both of those crops were ruined as well as many others. Now my area for Vegetables looks like this. It’s about 1200 square feet and has fabulous soil. But my neighbor cut down 5 large pine trees last year and that made their next door neighbor’s yard, two houses away, horrible as it is, very visible. I had to do something to hide this eye sore. Don’t you love those few left over spring onions? Still using them in recipes! So, now I have a blank slate, lots of ideas, and a dilemma. Do I dare plant the whole area with vegetables and take a chance on the squirrels again? I fought with that decision for many months and finally came up with an option. This area will be turned into a combined perennial/vegetable bed. I know what I want to do in my mind. Now I just have to put it on paper. 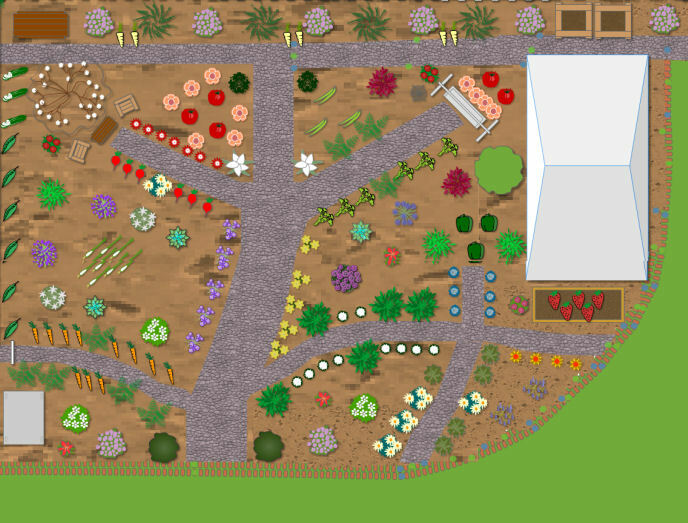 This is the garden plan. The first thing I had to do for my bed was to define the various smaller areas so that the whole garden bed would have some organization. I started with the paths. 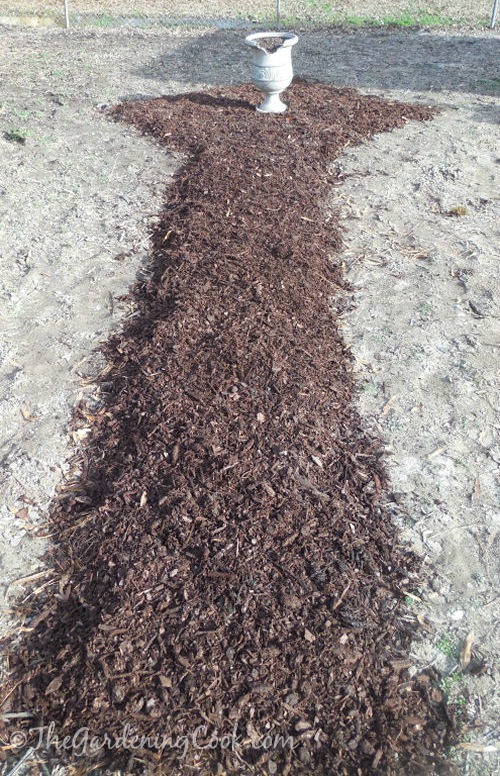 For the time being, I can’t afford hardscaping, so I made my beds with pine bark nuggets. Here is the first path that I completed a few weeks ago. (You can see more details of this project here.) More paths will radiate off from the center. I actually changed the placement of them as I worked. It ended up being a bit more structured than the plan above shows, but basically the paths divide the garden into small, more manageable area. One thing I know for sure is that I am going to plant silver bush and butterfly bushes along the back fence line. They grow very quickly and will fill in the space well, plus will hide that horrible view over the fence. 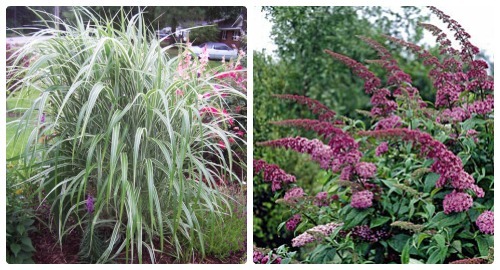 Another advantage of these two plants is that they have good winter interest. All I will have to do is cut them back in early spring and my fence line will be covered for most of the year. 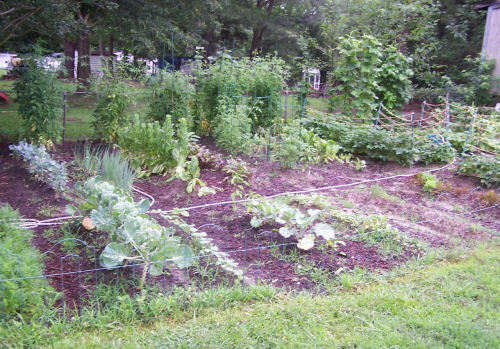 As far as the veggies grow, I know I will be growing tomatoes, beans, spring onions, Swiss Chard, lettuce, beets, peppers, radishes, carrots, and peas. I chose those vegetables because they are successful for me and because we love to eat them. Notice that I did not include corn. I don’t plan to invite the squirrels back again with their favorite veggie! Now, I have to figure out what will grow best in the same location. The bed is a combination that gets some shade, lots of full sun and some partial sun. My list at this stage is rose bushes, marigolds and nasturtiums, (for pest control and to attract the bees), gardenias (for the aroma), annuals of some sort (for the bees), hostas and ferns, (for the shade areas) coleus, (for the great color show), sunflowers (for my daughter), hydrangeas (just because), and bulbs, bulbs, bulbs. I simply cannot get enough of them and I love cut flowers. Now…armed with my print out of the bed and my two choices for perennials and vegetables, the only thing left to do is the actual work. I can’t wait for it to be warm enough to start and to see how closely my ideas mesh with my work when the time is right! Be sure to stay tuned for progress as my project develops. 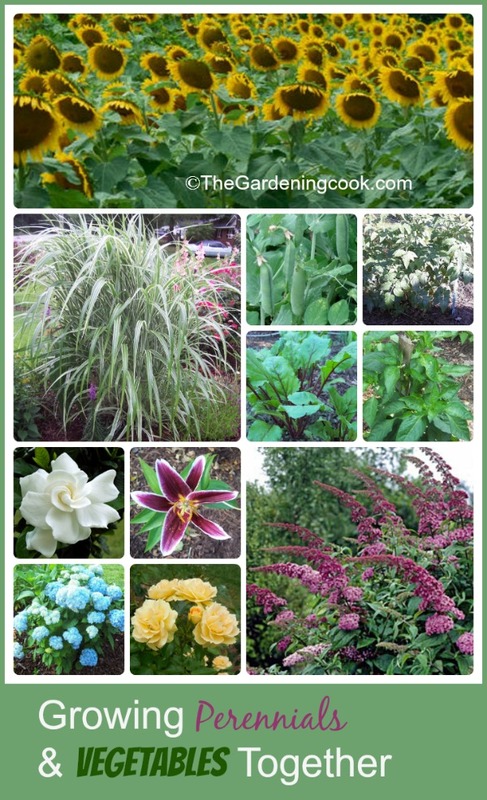 Have you ever grown perennials and vegetables in one garden bed? How did it work out for you?